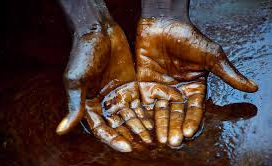 The Nigeria National Petroluem Corporation (NNPC) will deepen its search for oil in the north, the Group Managing Director of the corporation, Dr. Maikanti Baru, has said. Speaking on Thursday in an interview with journalists at the 40th Kaduna International Trade Fair, Baru said a deeper search for oil will enable the NNPC make extensive appraisal of the gas reserves discovered in the region in 1999. According to Baru, “the main purpose of this well is to start some massive appraisal of the discovery that was made way back in 1999 of some gas reserves in Kolmani River 1 and so far the drilling has been going on smoothly to enable exploration.